Lesson 13: What Happens After Death? The answer to this question is: Yes! Man is different from animals in that he is an immortal person. He will live forever. 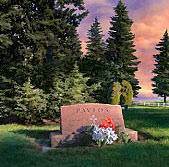 When someone dies, the body is laid in the grave, but the real person does not die. 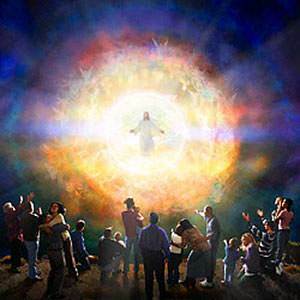 He simply moves out of his body, the earthly "house" in which he has lived. 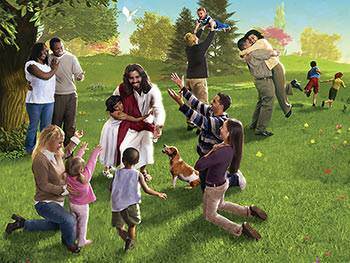 A preacher was once giving an illustration to some children. Holding a watch in his hand, he said, "Children, what is this I hold in my hand?" "A watch, sir," was the answer. "How do you know that it is a watch?" "We can hear it tick." "That is correct," said the minister. 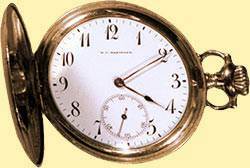 "Now I am going to remove the works from the watch-case. Watch me closely." 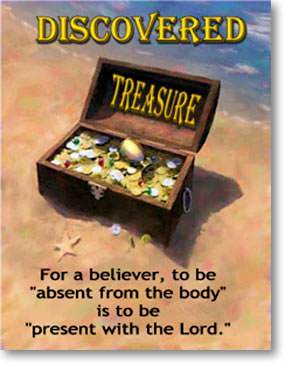 He then removed the works from the case and held the works in his right hand and the empty case in his left hand. "Now in which hand do I hold the watch?" he asked. "In your right hand, sir," said the children. "How do you know that what I'm holding in my right hand is the watch?" "Because we can hear it tick!" "Now," said the minister, "I am going to put the case of the watch over there under my hat, and then I am going to ask you to tell me where the watch is." The children watched him eagerly as he put the case under his hat. Then he returned to his place at the table. "Now tell me where the watch is," he asked as he held the works up in his left hand. "In your left hand, sir." "Do you mean to tell me that the watch can tick, tell the time, and keep going without the case?" "Yes, sir," replied the children in a chorus. "Well," said the minister, "so it is with the soul. It lives, feels, and thinks and goes on existing after the body has been put in the grave." Just as the watch existed apart from the case, so our spirit and soul will continue to exist apart from our body. Yes, it certainly is. 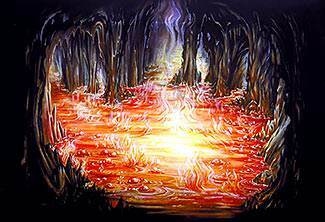 The Lord Jesus spoke more about hell than He did about Heaven. He lovingly warned men of the terrible consequences of dying unsaved, with their sins unforgiven. 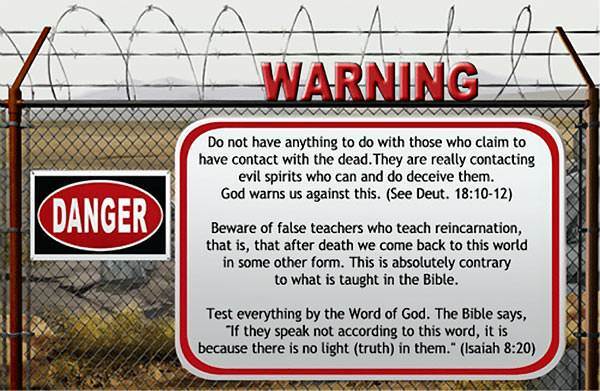 There are those who falsely teach that the unsaved are annihilated or cease to exist when they die. This is not taught in the Bible. God's Word teaches that unbelievers will exist forever in a condition of ruin and separation from God. It is terrible to think of this, but we must be true to what God tells us in His Word. Someone may ask, "If God is a God of love, how can He create anything so terrible as an eternal hell?" Hell was not created for people. Hell was made for Satan and his fallen angels. But those who disobey God and follow Satan will have to go to be forever with him some day. God is a God of love, and for that reason, He gave His Son to die for our sins. Those who refuse God's love and reject His Son cannot hope to escape eternal punishment. Some people laugh and say, "I don't care if I go to hell. I'll be with all my friends." Perhaps so, but there will be no company or friendship in hell. Hell is no laughing matter. 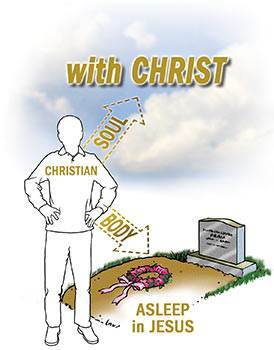 "Absent from the body… present with the Lord"
When a Christian dies, the body is laid in the grave, but the person—soul and spirit—goes immediately to be with the Lord. When we die, we do not go into a region of darkness at all. We go into a new world where Jesus Christ is supreme. He is Lord of all! A dear servant of God was on her death-bed. The young minister who came to see her was embarrassed, not knowing what to say to her. She looked up with a wonderful smile on her face and said, "Bless your heart, young man, you're scared. 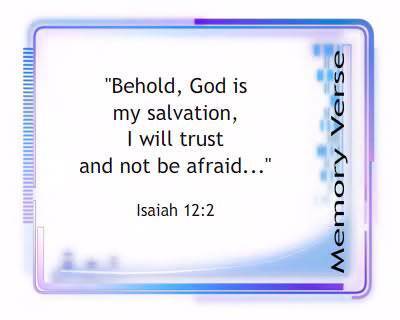 I know that I am getting ready to cross over the river but there's no reason to be afraid. My Father owns the land on both sides of the river!" What joy it will be to see our loved ones. Once again our arms will embrace those from whom we have been separated so long. Every longing of our heart will be satisfied. Best of all, we shall see our Savior, face to face. How simple this is! It is not by trying to do right or doing the best we can. 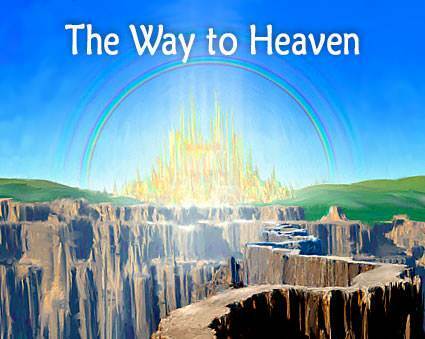 It is a Person who is the way, the Lord Jesus Himself.